I had been dreading this moment for a couple of months now. How do you break up with someone when there's nothing wrong with them? You've grown under their wings, changed priorities somewhere along the line & now have to take a different way - a separate route? The words, "It's not you, it's me" comes to mind. 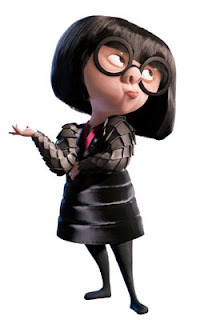 The time has come for me to tell Dr. Lee, also affectionately known as Edna (Mode), that I have opted for water birth and will have to go with Dr. Chong Yap Seng in NUH, the only place now that offers water bithing facility. I had asked her opinion before on water birth and she laid down her thoughts/apprehension on it; she might have suspected that I was partial to this natural but uncommon birthing method and anticipated this day to come. She was very sweet and professional and offered a doctor's note plus my records to be given to Dr. Chong and wished me the best for my delivery - to let her know when Bud enters the world. I was choked with emotion. She is indeed very kind to do that. I hear that most gynaes are "selfish" in this aspect and even though some hospitals are willing, you'll need to pay a certain fee. She is indeed very kind to do that. I know some will not do it even if asked and if the hospital allows, you'll need to pay a certain amount to have the records.